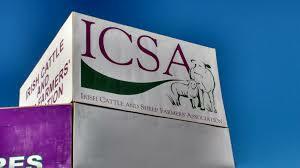 The ICSA is hosting two sessions on the fodder crisis and mental health ahead of its 25th Anniversary dinner at Hotel Kilkenny on Friday 7th September. Both issues will be the topic of two breakout sessions commencing in the hotel at 6pm. 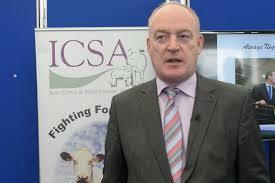 President of the ICSA Patrick Kent. How can farmers deal with the current fodder shortage and winter fodder planning? Martin Ryan, of the Technical Feed Support division with Glanbia Ireland, will be on hand to discuss technical and planning advice for livestock farmers impacted by the drought. Participants will have the opportunity to share their experiences and ideas on ways to overcome the fodder challenge, and the necessary supports needed. Tackling mental wellbeing in the farming community. Tackle Your Feelings is a mental wellbeing campaign run by Rugby Players Ireland in partnership with Zurich. This 45-minute session will feature interactive discussion around the specific mental and emotional challenges faced by farmers. It will also offer tips and techniques for proactively improving mental wellbeing, well before any challenge becomes a crisis. The session will be facilitated by Sport and Performance Psychologist and Tackle Your Feelings Campaign Manager, Créde Sheehy-Kelly. The Anniversary dinner of the association will follow. Previous PostWelcome for multi-million euro fodder measureNext PostProtestors confront Health Minister over abortion and HPV.